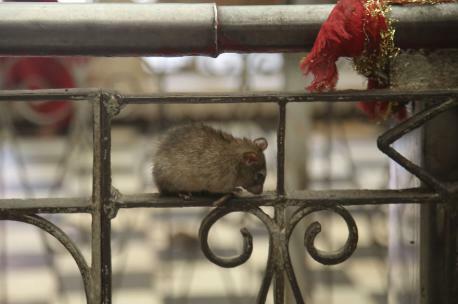 Results for - India's Thar Desert - Karni Mata - Holy Rats! 1. 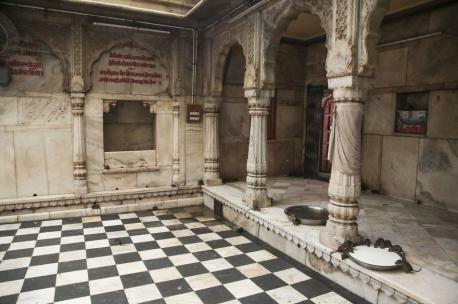 In India's Thar Desert you can find a small, remote town with a unique temple. It is dedicated to Karni Mata, a Hindu goddess that is worshiped especially in Rajasthan. People visit the temple from all over India. Did you ever visit India? 2. At first glance, this temple looks like any other. What makes it so special is that it also houses over 15,000 rats called Kabbas. That is the reason why it is also called ¨The Rat Temple¨ According to the folklore tradition, there are two stories about the rats: one says that all of the children were born as rats and the other says that those 20.000 rats used to be soldiers. Did you hear about any other place where people treat rats like gods? 3. Before entering you have to take off your shoes. You can find rat images are among the gods on the carvings of the door. Rats are everywhere. People take offerings for them (rat food). 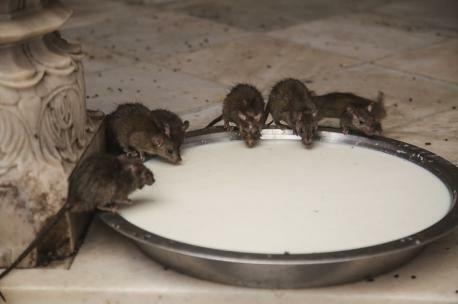 Despite in our culture rats are associated to health risks and lack of hygiene; they are so special in this temple that some people even eat and drink with them. Others play with them as if they were pets. They don´t seem to be aggressive with their visitors at all. Would you like to visit the temple? 4. Feared and regarded as dirty, dangerous and a threat for our health, if there is one creature on top of the list of the most hated animal, that is the rat. But in Tanzania, scientists have trained giant rats to detect patients with tuberculosis and also to detect mines. Rats are clever animals and have been extremely effective for both tasks. Did you know that rats could help us to accomplish complex tasks like detecting tuberculosis and mines? 5. Did you ever have a rat as a pet?